I am a Master’s degree student at Southwestern College working toward the Ecotherapy certificate. During my first year, many of the courses I took assisted me going deeper within myself to bring out the future counselor and process facilitator in me. In the Ecotherapy program I had the opportunity to do a Community-Based Eco Project. 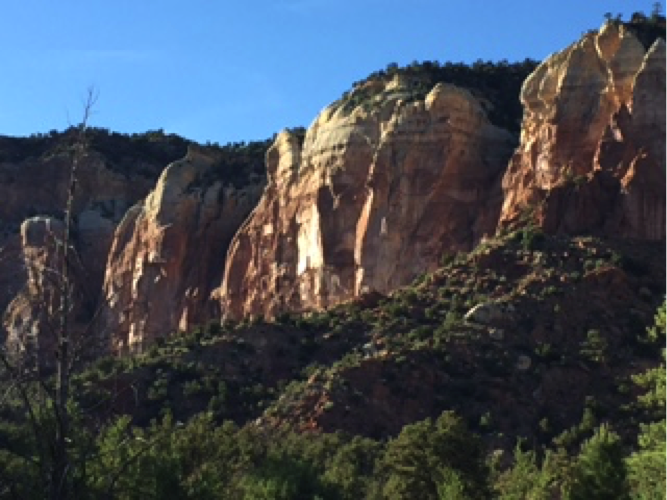 My project became the Rio Chama mindfulness-based nature retreat, where we engaged in mindfulness practices and intentionality to resurrect and reestablish our connections by Be-ing in the Wild. 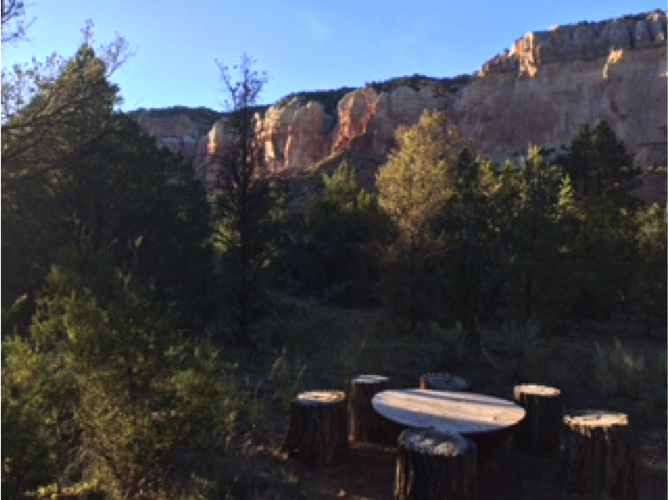 I searched and found an ideal location at Gallina Canyon Ranch near Rio Gallina. One participant shared her experience of the black flies that bit our skins. 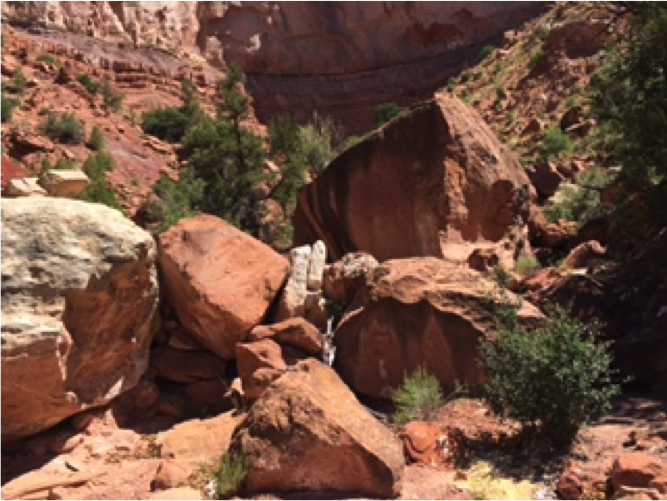 She said this “gave her opportunity to pay attention to areas in her body that she would not normally pay attention to.” Others felt a deeper connection with the natural world and metaphors that lie beneath the surface of fallen-down boulders and riverbeds. For myself, I continue to learn how I work as a facilitator. I originally wanted to go with the standard “have a schedule and stick to it” routine. Unfortunately, I forgot my copy, and felt the need to improvise throughout the retreat. I struggled to adhere to the needs of participants in this way. In future retreat undertakings, I will experiment with not having a schedule. In my experience of the Wild, Nature is spontaneous and truly invites a Human Be-ing to go with the flow and Dharma of the natural world, which does not inherently follow a set schedule. I would like to engage in this intentionality for future retreats to offer participants a space to become more ‘in-the-flow’ and ‘in-tune’ with the natural world. Thanks to those who assisted my own exploration of Being-ness and who helped me accomplish this experience: Ann Filemyr, who supported me step-by-step as my faculty mentor; the New Mexico Wilderness Alliance, who offered a platform for me to do the project; to my Mother, who would take me out as a small child into the natural world to explore at my leisure; and to the Divine Mother, the underpinning of All Life in Her Totality. Thank you, Thank you, Thank you.